For years the 2K series has dominated the basketball sports scene. It’s shown dominance in gameplay, style, feel and just a better understanding of what the player wanted. Now, though, NBA Live 2019 seems to have come back from the dead and is really having a good go at being the top dog again! With some new features and a lot of refining, will EA take the top spot from 2K? 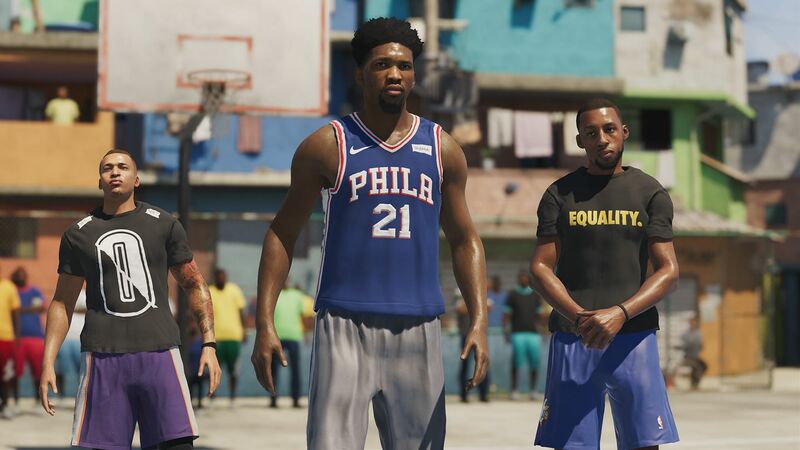 Where the NBA Live series really excels is with its feeling of pick up and play. After a few years of not playing the EA series, as I’ve stuck with 2K for obvious reasons, I picked up the controller, started the tip off of my first game and immediately felt like I’d never left. It was such an odd feeling of both nostalgia, as this felt so familiar, and excitement of what was to come in a series that so desperately needed a good facelift. For new players to the franchise there is a very thorough and extremely helpful section simply called “Learn to play NBA Live”. This includes all the drills for brand new players, all the way up to the most advanced plays. After learning everything you need to know you can also just shoot around, play 1v1 and also 5v5 scrimmage. These were invaluable as they allowed me to learn some of the new fundamentals NBA Live 2019 had to offer; it certainly prepares you for everything that is going to be thrown your way! The game begins with you playing as three legends who have three different play styles; Alan Iverson (The Guard), Vince Carter (The Wing) and Shaquille O’Neal (The Big). You are placed into an all black court and play first to 21, teaching you the basics you need. 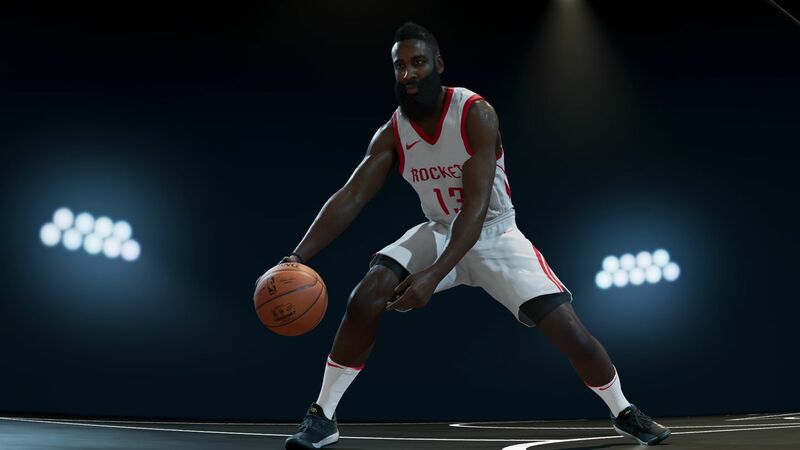 From there it’s all about creating your own character for NBA Live 19’s “The One!”. Before playing, I’d heard a lot about Gameface HD which allows you to scan your face and put yourself into the game. You need to download the companion app, scan yourself, upload it and off you go. Oh wow, if it was only that easy. After failed attempt after failed attempt, and messages like “render error” and even being told “wrong face size”, I got so frustrated that I stopped. Now I’m not one to quit permanently so I came back to this at a later time to try again and you know what? It still didn’t work! I finally managed to actually scan my face after a while, but after the app telling me my face was now ready, it never appeared. That, ladies and gentlemen, is NOT how you start your game, with a long winded, convoluted app that doesn’t even work. Away from that and the NBA 2K series has its own unique brand of story mode and EA has tried to mimic that with this year’s offering in Live – “The One” sees you trying to prove yourself to be the best player and have your cliché meteoric rise to the top through winning games and being the best player on the court. Now this mode does feel a little shallow as it has definitely been done before, and it sadly doesn’t exactly offer anything new to the table of very well established sports games story modes.. Yes it’s great to see you earn your greatness progressing through the streetball, Pro-Am and professional league but, like I said, it’s just been done before. The better you play, creating opportunities, getting assists, making use of good spacing, and scoring etc, the more career hype, XP and reward points you earn. Depending on the path you chose, out of the three I mentioned earlier, you can spend your skill points on specific attributes that progresses you onto being the next big thing. You can also achieve more rewards and XP by completing small challenges in your game, such as reaching a set number of assists. This then unlocks different attributes for your player and drops new players on the scene, all of whom you can add to your squad to dominate the scene. Within The One, you can also create and customize your own basketball court. You can go into great detail to change the court paint, type of flooring and everything in between. This is a lovely little distraction that took up a lot more of my time than I thought – it was incredibly satisfying creating my court from scratch, naming it and then defending my reputation there through court battles. 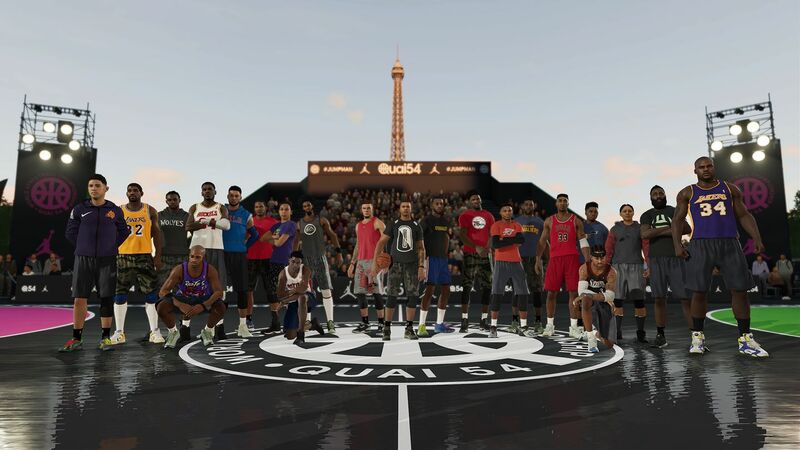 This involves battling others online, taking on their home team at their home court and earning respect to get your icon status and becoming “The One” in the street court scene. You get to change each game settings when you are home and have to play by your opponent’s rules when playing at theirs. This makes the entire game varied and constantly fresh, changing how you play at each court and ensures that there is so much replayability. You can also link up with another online team and take down opponents on “Live Run” mode, or enjoy limited time co-op challenges in “Live Events”. One aspect of The One mode, and in fact the game as a whole, that is refreshing to see, is the inclusion of playing as a woman and progressing to the WNBA. Even though the paths may not really vary in The One, the gameplay style in normal games definitely does. It’s a step in the right direction for the series and a definite step up from the 2K series which doesn’t offer this. The One mode has so much variety to it, allowing you to play through an abundance of game modes, constantly collecting new items, expanding your team, getting respect and becoming the ultimate street team. The major issue I have with NBA Live 2019 is the quality of movement. The aesthetics are beautiful – you can pick out LeBron, Harden and Curry with absolutely no problem, and in fact, they look stunningly like their real counterparts. The problem is how jolty the movement feels and it just plays like a bit of an old game. The fluidity of the 2K option is so beautiful and so refined that anything below that just doesn’t feel right; a bit like a step back in time. This is such a shame as EA have made such a big thing of their new Real Player Motion mechanics. They said gameplay would feel more authentic and natural and AI would react better both on and off the ball. The latter is true, as other teammates do make intelligent runs but when 1 on 1 with other players, you’ll feel very rigid, jumpy and movements slightly unresponsive. Hopefully this will be addressed in some form of patch down the line as it really does take you out of an, otherwise, stunning looking game. Another lackluster element to NBA Live is the serious lack of diversity in the commentary. Commentators Ed Cohen and Jay Williams do a solid job of voice recording and they genuinely respond to what’s happening on the court, however it does feel like they recorded far too little in terms of variety. The commentary gets stale very quickly and in some games they’ll utter the exact same things on more than one occasion. This ruins the immersion and solidly reminds you that it’s still just a video game. 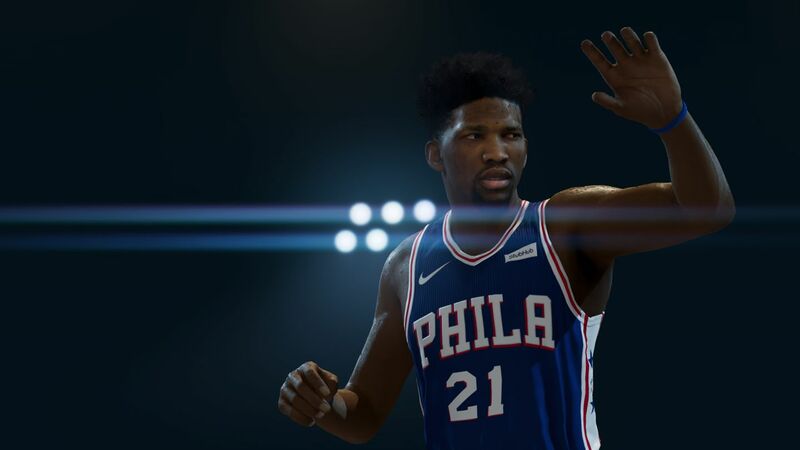 As with every NBA Live instalment you can play the Franchise Mode and be the boss of your own NBA team; just pick your favourite and get ready to conquer the league. Everything you’d expect is here in regards to drafting, trading etc. and you can now simulate days more effectively so as to speed up the season, if you so wish. A few elements are slightly more detailed, but nothing you wouldn’t really expect to see. You also get to play Ultimate Team – this is an EA game after all – but it won’t take long for you to realise that this really is an EA game and it becomes very apparent that it’s a micro-transaction hell hole that takes hours and hours of grinding to barely improve. On the whole, NBA Live 19 is definitely on the right path. It’s aesthetics are beautiful, both on and off the court especially in regards to its player models, which are stunning. The inclusion of the WNBA is a fantastic step forward that puts it’s a step above the 2K series. Unfortunately, the “story mode” feels very stale and just doesn’t compare to other sports game’s take on it. Also, the general fluidity of play in NBA Live feels sluggish, arcadey and just a bit behind the times. 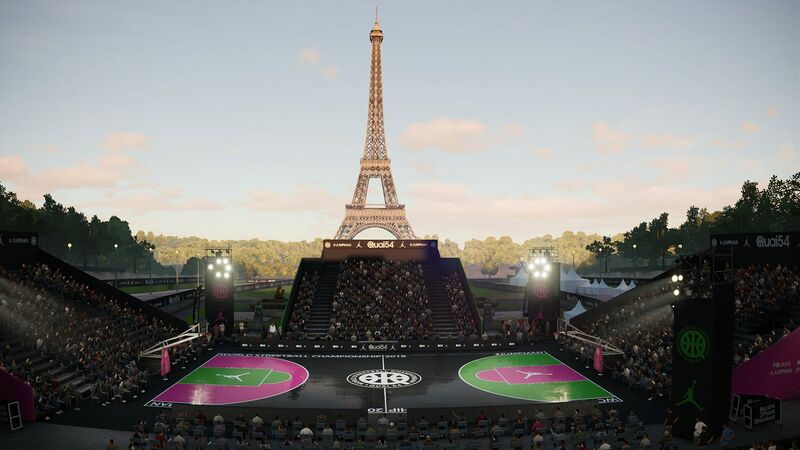 But that said, with a few more years of this kind of progression and forward thinking, the EA series will be a very strong contender for the top basketball game spot.